Malaysian Envy Romance Ombre Hair is a great quality Human Hair that has good texture and shine. It is an affordable hair that allow you to look gorgeous even on a low budget. It comes in a pack of 4 bundles of Hair. The hair last long and be used many times for 1 or 2 years. 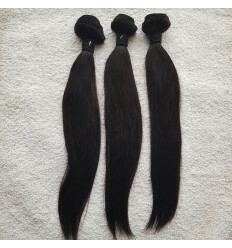 This Quality and Cheap Human Hair Weave gives great value for the price.